I hope you enjoy the free reports we have provided, and we hope you learn a little more about what it takes to make your important purchase a great one. 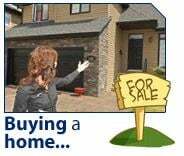 The real estate market in Ottawa is certainly volatile, and all of the information about buying a home can be overwhelming. We can help. We protect you. We simplify your transaction for you as much as possible. The length of time that it will take to cover those costs depends on various economic factors in the area of the home. Most parts of the country have an average of 5% appreciation per year. In this case, you should plan to stay in your home at least 3-4 years to cover buying and selling costs. If the area you buy your home in experiences an economic upturn, the length of the time to cover these costs could be shortened, and the opposite is also true. To determine how much home you can afford, talk to a lender or go online and use a "home affordability" calculator. Good calculators will give you a range of what you may qualify for. Then call a lender. While some may say that the "28/36" rule applies, in today's home mortgage market, lenders are making loans customized to a particular person's situation. The "28/36" rule means that your monthly housing costs can't exceed 28 percent of your income and your total debt load can't exceed 36 percent of your total monthly income. Depending on your assets, credit history, job potential, and other factors, lenders can push the ratios up to 40-60% or higher. While we're not advocating you purchase a home utilizing the higher ratios, its important for you to know your options. What price do you offer a seller? Is the seller’s asking price too high? Is it a deal? Without research on the market and comparable homes, you could lose thousands of dollars. Before you make that offer, be sure you have researched the market. A professional realtor can offer an unbiased opinion on the value of a home, based on market conditions, the condition of the home and neighborhood. Without knowledge of the market, your offer could be too much. Or worse, you could miss out on a great buying opportunity.